Solitaire Match 2 Cards Thanksgiving Day. 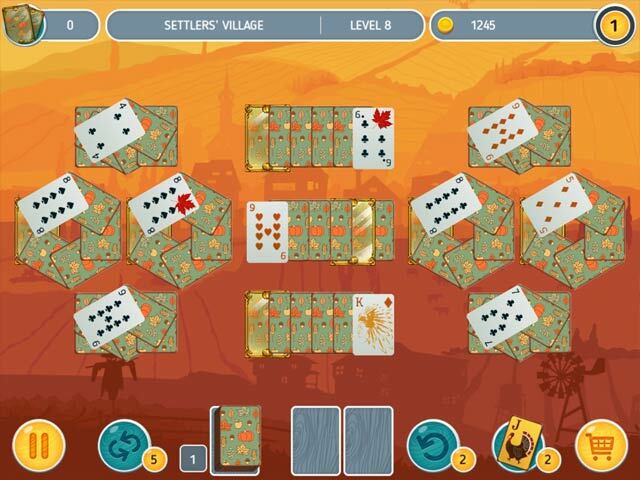 Solitaire Match 2 Cards - Thanksgiving Day is a new card game with a cozy autumn atmosphere for the holiday season. Celebrate family get-togethers, walks in the park, a holiday feast with roasted turkey and the rich gifts of nature. What else does a connoisseur of patience, klondike or pyramid need? Enjoy classic solitaire with original game mechanics created specially for those who love unusual solitaire varieties! Find and match pairs quickly and a special multiplier will increase your reward! Buy bonuses and coins: mulligan, shuffle and Joker. Choose your own difficulty level: the Professional mode is a challenge to any solitaire pro! Relaxing music and premium-quality graphics will help you fully immerse yourself in the atmosphere of autumn and the harvest holiday!